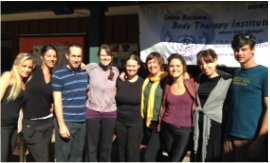 The Santa Barbara Body Therapy Institute is proud to announce its 25th year in business teaching massage and the healing arts in the Santa Barbara Community. We have a continuous flow of amazing people come through our doors, experience life changes through bodywork and learning, and venture out into the community to share their experiences. With joy, we continue to watch our family grow and welcome all members to join us in celebrating the incredible work that we do. All are welcome to participate in the celebration to come! 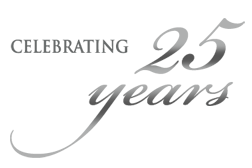 We invite all Alumni, Community Members, Family members, Current & Future Students to join us this summer to celebrate our 25th year anniversary. Stay connected by joining our newsletter or check back online for updates. Share your Talents & Gifts! We are looking for Healers, Workshop Hosts, Musicians & Sound Healers, Photographers/Videographers, Sponsors and Volunteers. If you would like to share your gifts in any way, click here to let us know how you would like to participate. 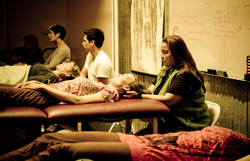 Whether you can donate your time, talents, or capital, we appreciate donations in all forms. All money raised for the event will go directly back to helping the school fund future students in an excellent massage education.